One of your budgeting goals may be to have extra money that is not spent during the month. You may be accumulating this extra money to spend on something big within the year without going into debt – for things like a new furniture or gadget. For this, you need to accumulate your money in a savings account. The savings account may be earning you next to nothing in interest, but it will keep your money safe for the purchase. A savings account is a good place to keep your money if you have a short term goal for saving. For accumulating money to reach a long term goal, say, for 2 or more years, you need to put your money in a place where your money should potentially earn more. For getting your child into college, setting up a business, or a retirement, you need to invest. Investing is making your money grow at a rate that is faster than putting it in a savings account. It is a way of saving your money for something further ahead in the future. Although investing carries risks for your money, it will potentially give you a much higher return. Also, the money that you save for the long term is going to be affected by inflation. Inflation, which is the rising price of things, makes your money worth less and less over time. The interest you earn on savings account usually cannot cope with inflation. You need to put it in an investment where your money grows to retain its value or even increase in value. The most important factor to consider if it is the right time for you to invest is to look at the best use of your money. For example, wouldn’t it make more sense to pay your debt? The money you are spending on the interest of your high credit card debt may be higher than what you might earn when you invest. For example it makes sense to pay off that credit card debt that is costing you 20% per year, before investing on mutual fund or stocks where you realistically expect to earn 10% or less. Also more important, you should protect yourself from the financial catastrophes that could wipe out all your investments, or worse, put you into a big burden of debt when they happen. This can be done by buying insurance before investing. First of all, make sure that you have adequate health insurance, to protect your money against the high cost of being treated for health problems. A disability insurance is also a good idea because a disability can wipe out your savings very fast. See details on what you should know about insurance. Build up a cash cushion of 3 to 6 months expenses or salary in case you become unemployed, or as protection from emergencies. Make sure that you place this money in an instrument that you can easily convert into cash and you are not putting your money at risk, like high interest savings account, Certificate of Deposits or Money Market Fund. A factor that determines where to invest your money is your objective for investing. You may want to hopefully grow your money fast and you do not care if you risk it because you have more time to pick yourself up and recover from a downturn. Or your goal is just to preserve your capital in the safest way because you will need your money soon, and it is important that it does not lose its value. Keeping your money relatively safe because you need it soon – if you are close to retirement, you would not want your money to decrease in value just when you are about to retire. Therefore if you have a financial goal that is near, investing in less risky instruments makes sense. Investments in mostly bonds are suitable here. Bonds are safe instruments. Taking moderate risk with your money for better appreciation – if you can afford to take a little risk with your money because you will not need it soon, then buying an investment like a mix of stocks of very stable companies that pays out dividend (income) and stocks of company that do not pay out dividend but reinvest its earnings in its future is a good choice for you. Taking aggressive risks for higher gains – if you can afford to take a risk with your money for higher gains, then growth should be your goal. You should invest in stocks of companies that plow its earning s back into its future. This is appropriate if you can keep your investment for a long period of time because it takes time for some companies to make its value increase sizably. It is also possible that you can invest for two different goals, such as investing for a house down payment (short term), and investing to retire (long term). A factor you should consider to determine where to put your investment and how much to invest is your age. In investing, being young has an advantage. You are able to wait a longer time for your investment to bear fruit. While young, you are also more secure, you do not have a lot of responsibilities, you have more disposable income, and you can pick yourself up easier when you make mistakes. Therefore, when you are young, you can get into investments that are riskier but can potentially earn above average earnings. Another advantage of being young is that you have more time for compound interest to work for you. Compound interest is earning interest on your interests as well as principal, and this makes your money grow at a faster rate over time. If you are young, it is not very important to put in a lot of money for investment if you have very long term goal such as retirement. On the other extreme, if you are middle aged and thinking about retirement, but you are just starting to save for retirement, you should invest the maximum amount you can afford so you can live comfortably when you retire. You should also put your money in a relatively safe investment, so there is very little risk of losing much of it by the time you retire. Since stocks are relatively riskier investments than bonds, a formula you can follow to determine how much percentage of stocks you should hold (vs. bonds and other safer instruments) is 120 minus your age. 4. Time before you need the money. Not everyone invests to retire, some investments have shorter goals. Therefore, another factor you should consider to determine where to invest is the time you have before turning your investment into cash. The longer you can stay invested, the more you can take risk (and hopefully get more gain) since you can still recover from any potential loss. If you do not have a lot of time and taking a loss would be disastrous to your plan, then it is best to stick to less risky investments like bonds. Also consider that some investments will cost you charges or penalties if surrendered or redeemed before a holding period. If this is a requirement, make sure that you do not need the money before the prescribed redemption period. You should also consider the tax implications of withdrawing your investment. As a general rule, the higher the risk of an investment, the more potential for higher return. However, not everyone can take risks with their money over a certain level. Not everyone is comfortable with the ups and downs of the stock market, for example. You may be so averse to risking your money that a potential higher rate of return may not be worth the stress and your losing sleep. 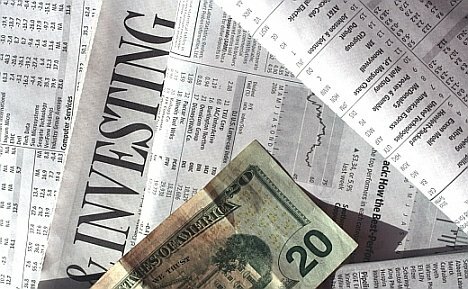 If your personality is one who can accept losing money for the possibility of getting much more profit on your investment, choose aggressive investments such as growth stocks. If you are the more conservative type, choose the relative safety of bonds.